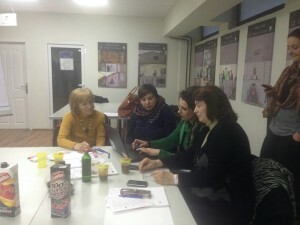 January 20th, 2016, a workshop was held with the grantees of the project “Equality and Gender Mainstreaming Across Borders”, in the premises of the Youth Center of Municipality Gostivar. 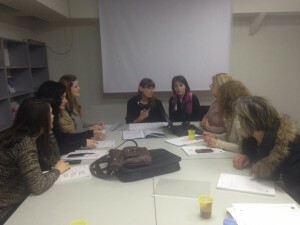 The meeting was a possibility for 11 participants of the implementing organizations Women’s Forum Tetovo, Center for women’s rights Etika from Gostivar, Zlatna Raka Tetovo and Women’s Center Gostivar, to share the goals, expected results and activities of the gender equality advocacy actions, that will be implemented in the forthcoming 6 months. Besides information sharing and identification of the possibilities for collaboration and support, the meeting was also an opportunity for operation plans to be drafted for implementation of the actions. 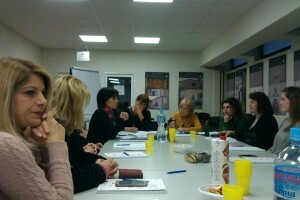 Never the less, they were also informed about the administrative tasks that they will have according the given grants. 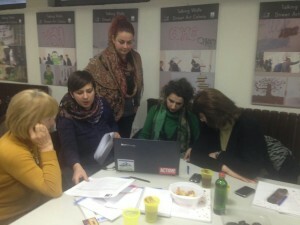 The workshop was organized as part of activities for technical support which will strengthen the capacities of local women’s organizations.